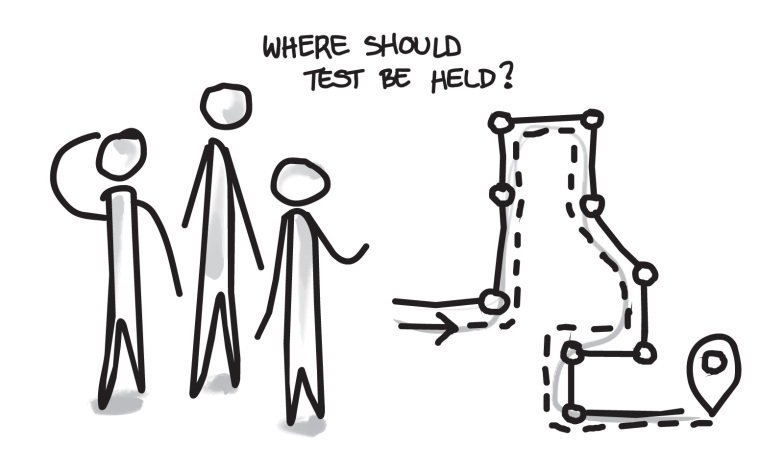 Usability: Where should the tests be held? Two most obvious choices are at the user's premises or at yours. Which you decide on depends on the context of use and the kind of feedback. You should go to the user’s location if the context (environment) in which the website is being used is an important part of the flow. An example of this might be a store in which sales agents work with customers and have to deal with various requests very quickly. It’s hard to replicate that situation anywhere else, and testing the user outside that stressful environment won’t give you the valuable feedback you need. The downside of this is that all you can do is take notes and perhaps record the sound, but any other means of capturing the user’s actions – such as on a web cam – might put additional stress on the user or change the way that they as a customer would usually behave. In these situations, you want to be as unintrusive as possible. However, if you can get five or ten minutes with the user and ask them to go through some or all of the “small tasks” (described in “Designing a test scenario“), that could produce very valuable data. 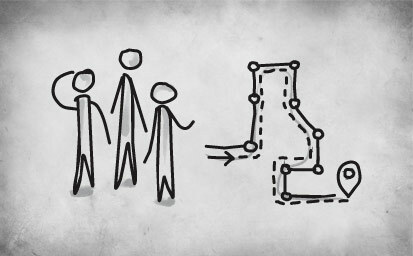 In this situation, participants come to you in a room that is already set up for user testing. If the context of use is not the most important thing, this is the option you should go with. My recommendation is that only the interviewer and the participant should be in the room. If others want to watch the session in real time (as observers), you should put them in a separate room. You can connect the laptop the participant is using with a TV screen in this other room so that the observers can see and hear what’s going on. When we conducted tests, we captured the screen (to record what the participants were doing) and recorded their faces so that we could see how they reacted in certain situations. The software we used was Morae, but it can be anything else, as long as you get what you want. The interviewer should sit next to and slightly behind the participant. That way, they can see what the user is doing and speak to them but not be in their field of vision for most of the time.